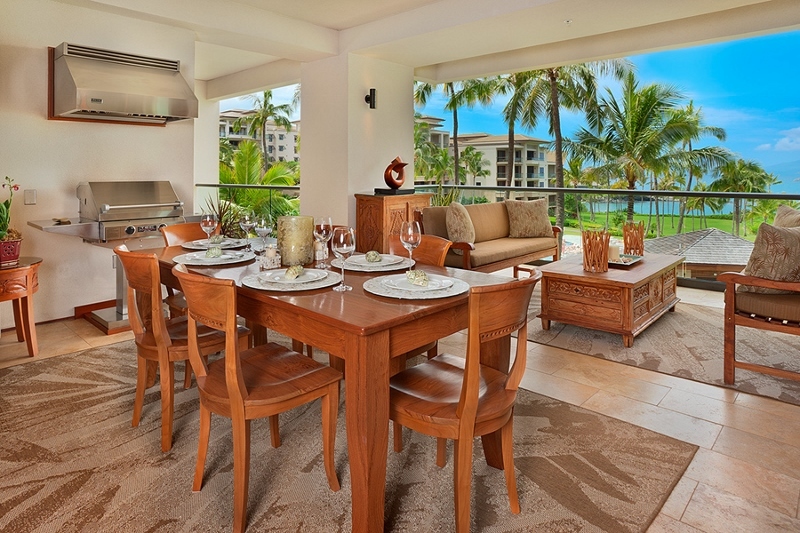 Ocean Dreams Villa 2203 at Montage Kapalua Bay – Luxury Vacation Homes, Inc.
We invite you to come vacation at Ocean Dreams Villa 2203 at Montage Kapalua Bay, a truly luxurious four bedroom beach and ocean front private villa accommodation. 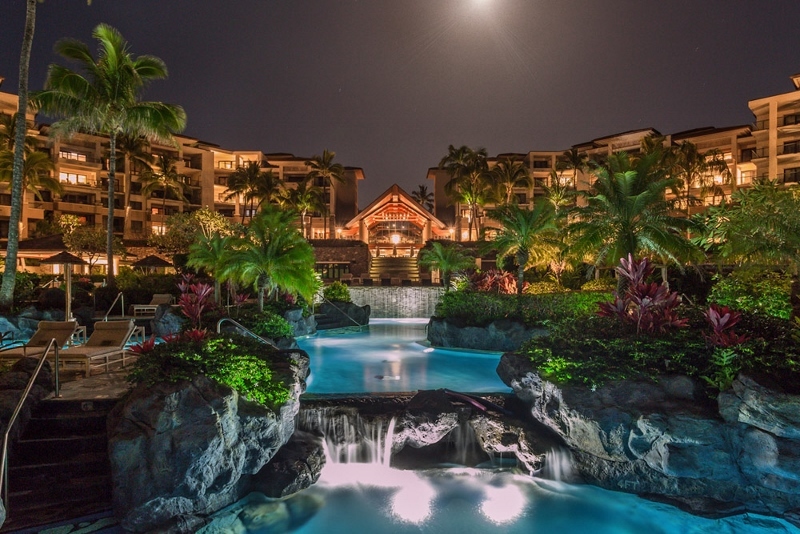 Montage Kapalua Bay, a Kapalua Beachfront resort of privately owned residential villas, is now managed by Montage Resorts. 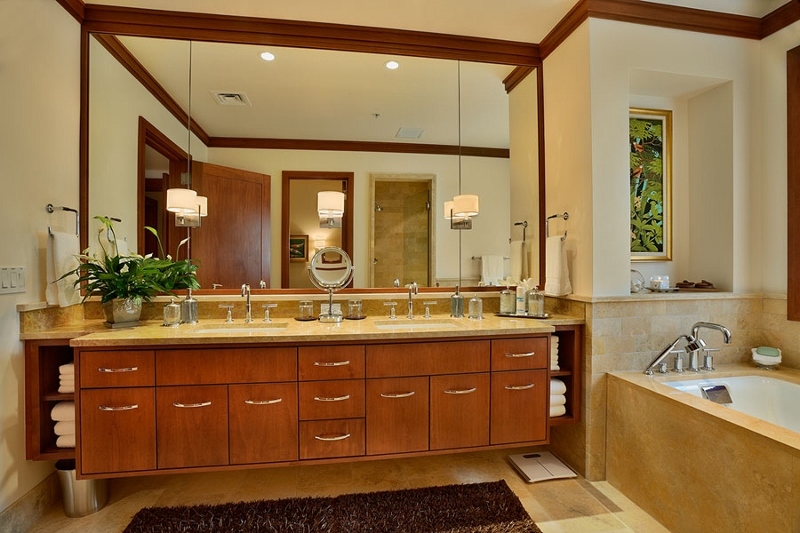 It was formerly known as the Ritz Carlton Club & Residences, Kapalua Bay. We wish to welcome Montage to the project and to the resort’s masthead. 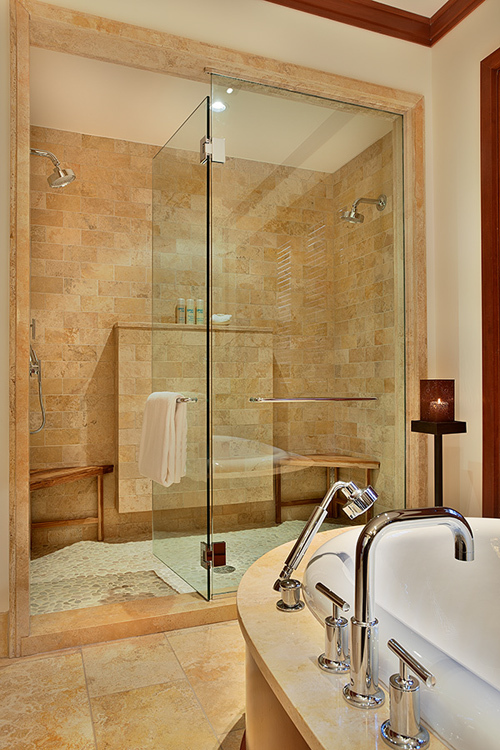 Montage will bring an elevated and improved level of first-class service to the resort for the benefit of all visitors. 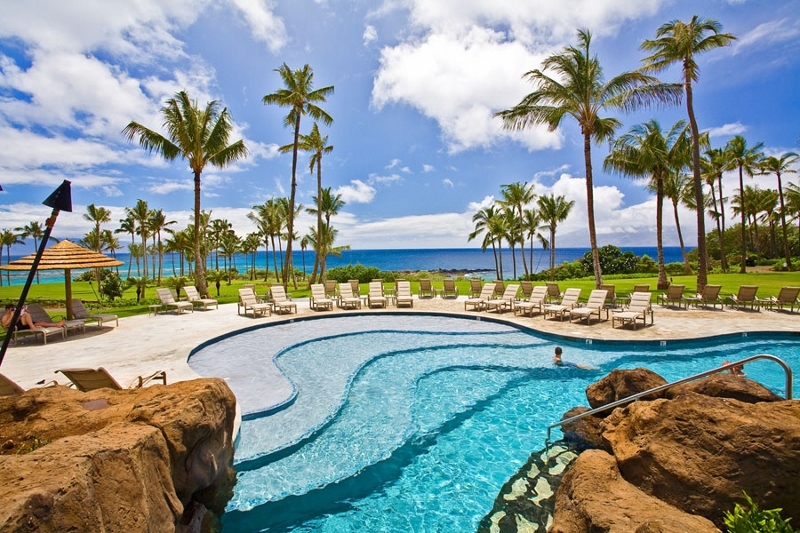 We are pleased to announce that Spa Montage at Kapalua Bay has been awarded the Country Winner in the category of Best Luxury Destination Spa. Congratulations to the Associates of Spa Montage for their hard work and many great achievements to come. 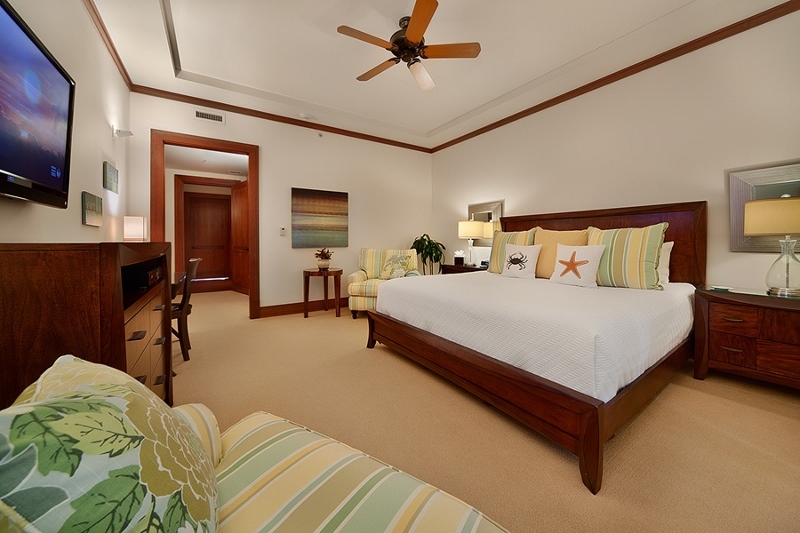 Simply put, Ocean Dreams Villa 2203 truly is “Your Own Private Paradise”. 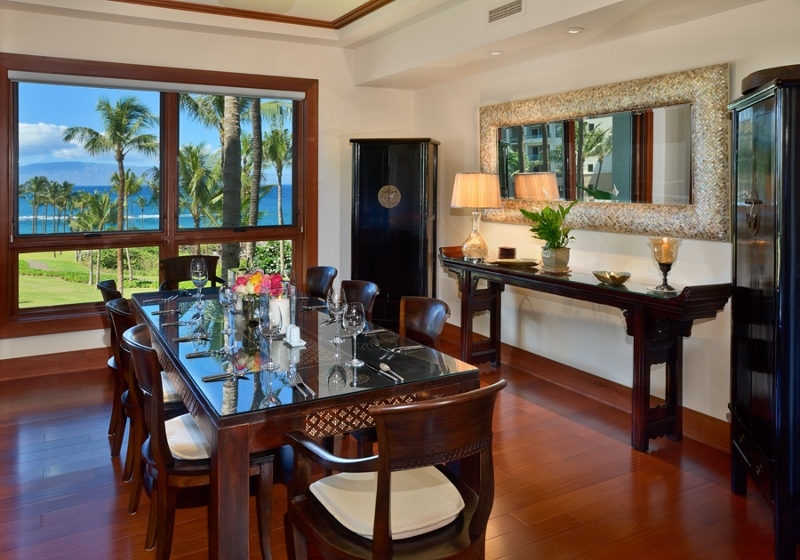 Located on the site of the original Kapalua Bay Hotel, you will stay in a sublime residence with more than 3,700 square feet of living space. 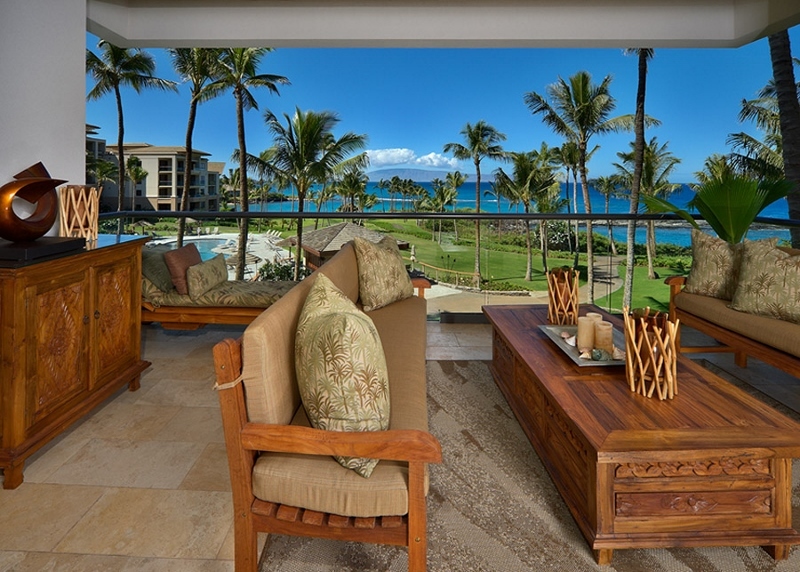 From the spacious outdoor living area, gaze out towards Kapalua Beach and turquoise color coves. Kapalua Beach, a sandy beach cove where calm clear waters wash gently against golden sands, is one of the world`s most favored beaches. Guests of this villa will receive complimentary services from the attentive beach personnel, including assistance with setting up beach chairs and towel service. 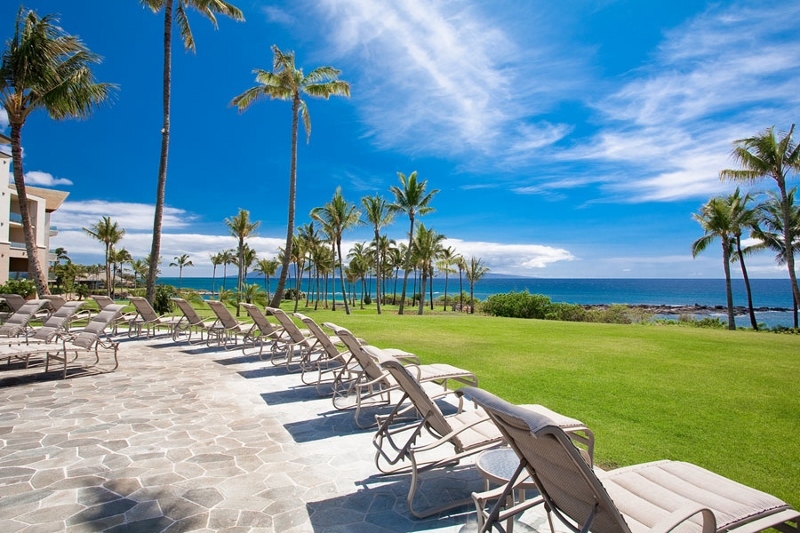 At Kapalua Beach you may also rent snorkel sets, boogie boards, surfboards, or schedule a scuba dive, kayak adventure, or sailing excursion. 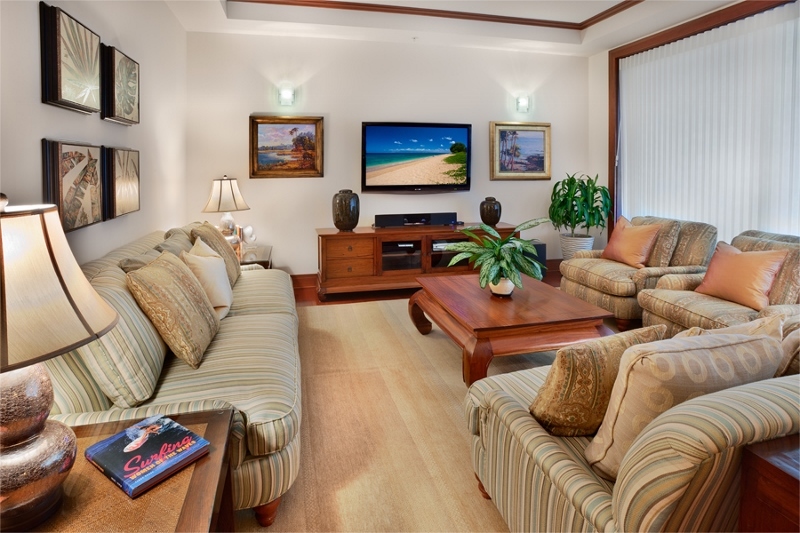 Ocean Dreams Villa 2203 is situated in the oceanfront row of whole ownership private apartments, from which you have unobstructed views of the sparkling sapphire blue Pacific Ocean. 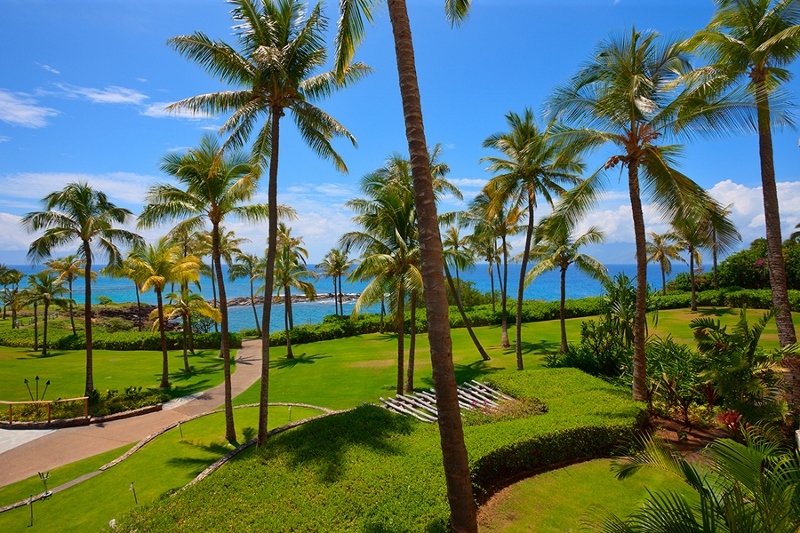 A vacation at Ocean Dreams Villa 2203 offers an opportunity to reside in incomparable luxury within Maui`s most coveted ocean and beach front enclave. Your private home within this select hideaway has an oversized covered oceanfront veranda with abundant fresh-air lounging and dining space, four bedrooms (Eastern King, California King, Two Double Beds, Two Single Beds – may also form another King Bed), three and a half bathrooms, a fabulously well-equipped kitchen, in-villa Bosch laundry room, HD subscription on five HD oversized flat panel televisions, iPod docks and CD players in all bedrooms, PS3 and XBox360, and even a television in the master bath adjacent to the jetted whirlpool tub! 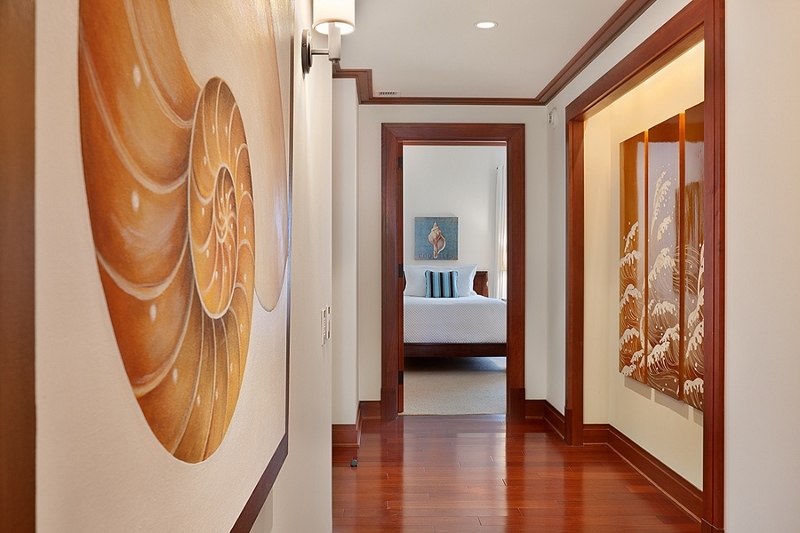 Ocean Dreams Villa 2203 is decorated in a young traditional style with elegant high-end furnishings and whimsical accent pieces that represent an array of ocean, tropical, and beach themes. The eclectic palette of rich jewel tones in gold, silver, sunshine yellow, teal and turquoise, rust, lime green, and chocolate brown create a warm and welcoming backdrop for your home away from home. You can enjoy the colors of the outdoor environment inside your personal living space. 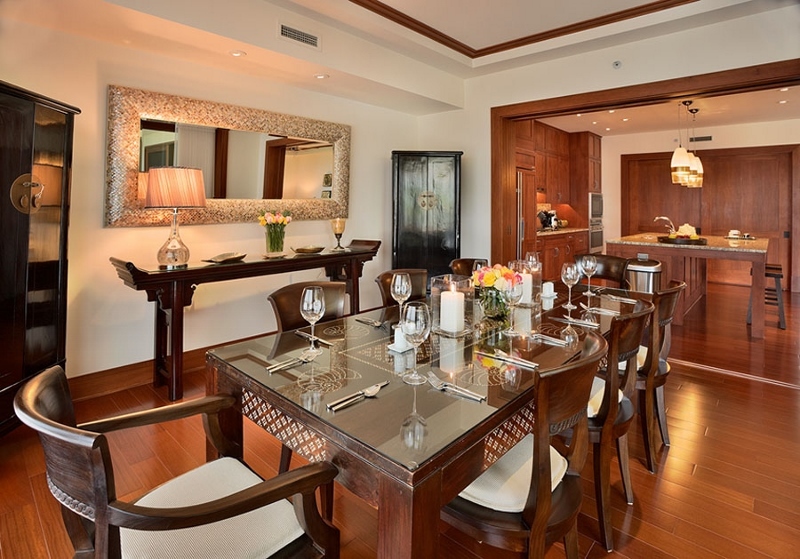 The exquisite private dining room is a lushly formal enclosed space that is perfect for dinner parties. The outdoor veranda is large enough for seaside sunset cocktails. 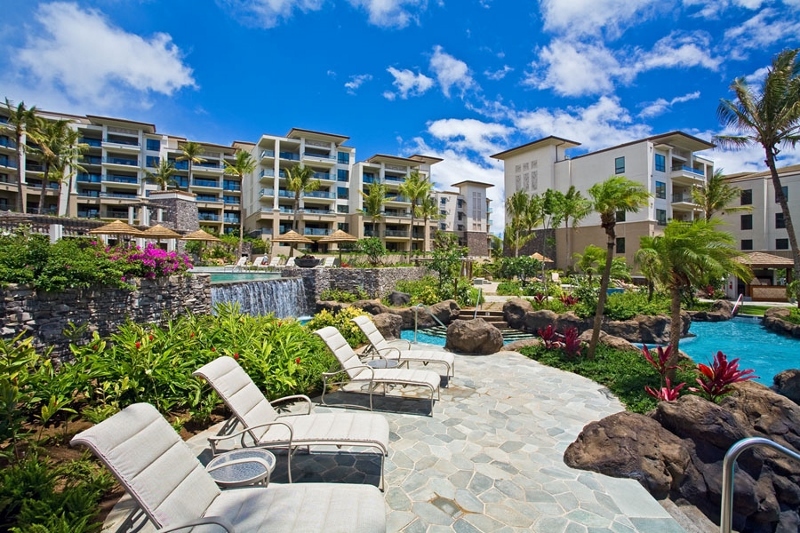 Montage Kapalua Bay is Maui`s most perfect place, perfected even more just for you. 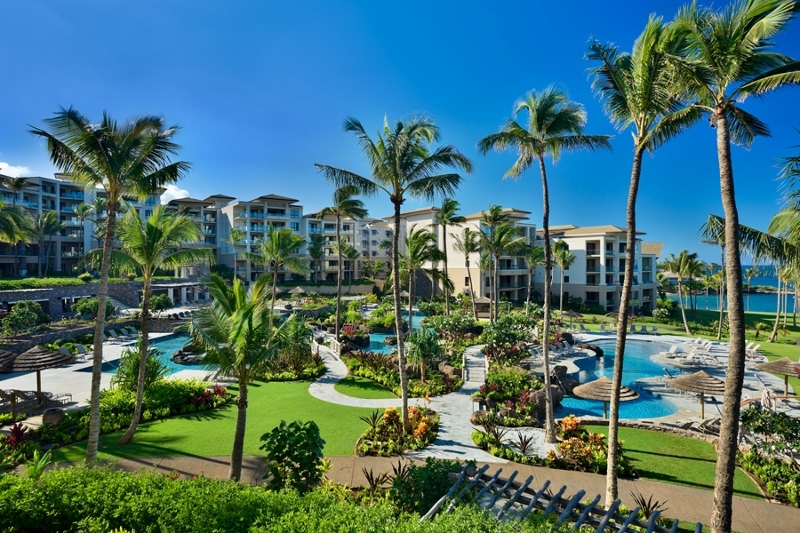 Within Montage Kapalua Bay are the pursuits and pleasures of 23,000 acres of recreational splendor, where you can take the weight of the world off your shoulders, and replace it with sparkling seas, radiant sunshine, refreshing salt water, and silky sandy shores. 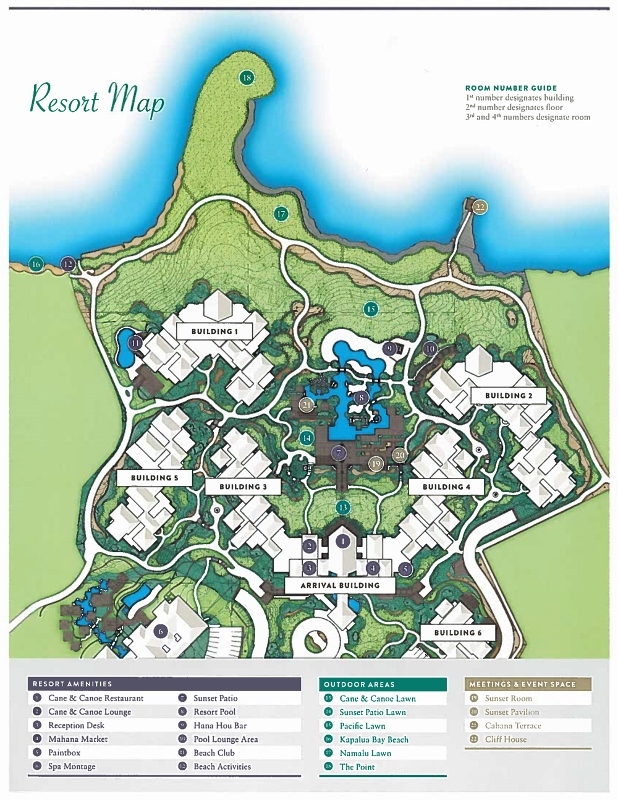 Montage Kapalua Bay offers dozens of newly constructed hiking trails including an oceanfront path, a forested zip-line, scuba, kayak and sailing adventures, unlimited golf specials on its two championship courses, horseback riding, fine dining in the glow of ocean front tiki torches, boutique shops, and many other enjoyments that await your explorations. 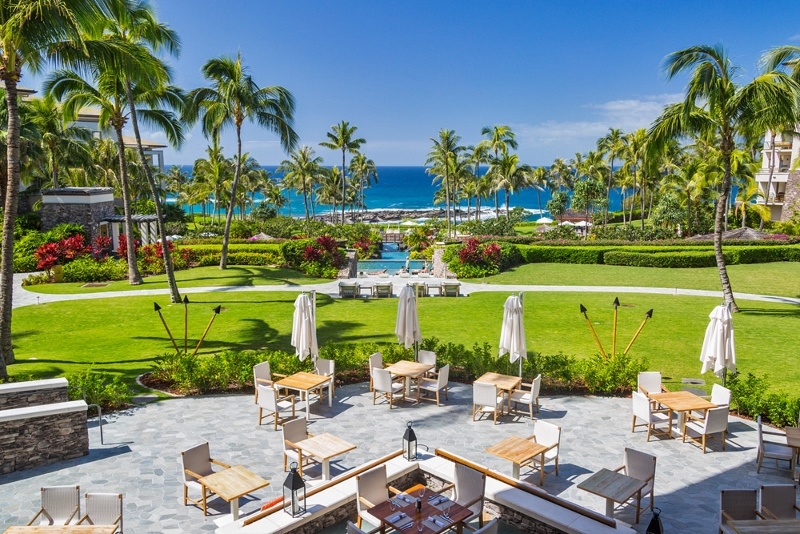 Upon arrival at Montage Kapalua Bay, you enter the island inspired longhouse “halau”, a spacious open-air setting that welcomes you to this wondrous resort. 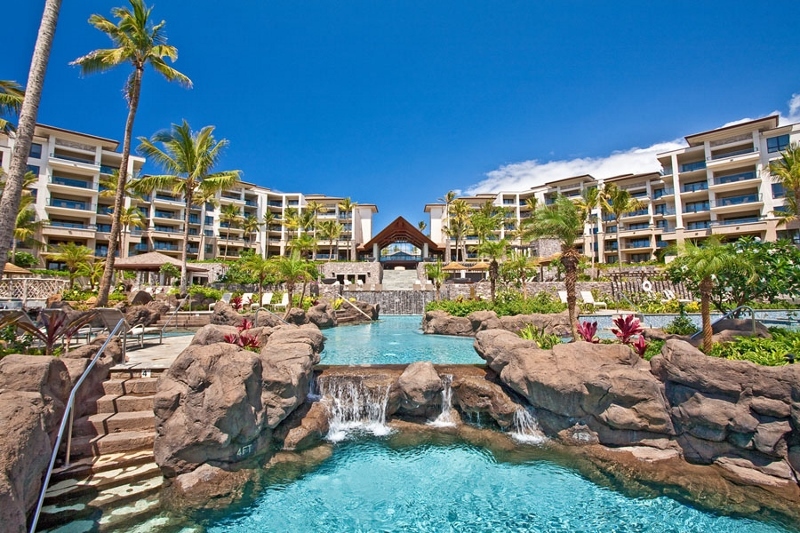 Past the reception area are several sun-shaded lounging areas including a Member`s Lounge and Children`s playroom, along with a pool-side restaurant, two pool-side sunset view bars, cascading waterfalls, and heated whirlpool spas nestled amongst the lush tropical landscaping. 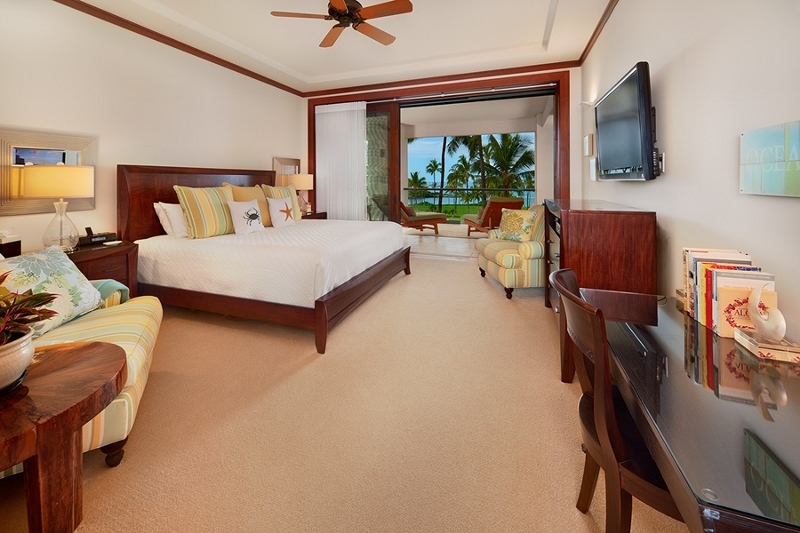 We welcome the enlightened travelers of the world to experience the exquisite serenity of Ocean Dreams at the Montage Kapalua Bay, where all of the traditional comforts of a five-star hotel prevail. Stay at this oasis of tropical splendor, and you do not have to be concerned about the availability of lounge chairs or sun umbrellas. There is no need to spend extra money to rent a cabana to be guaranteed some quiet space or sun shade. There are plenty of sun umbrellas, lounge chairs, and shaded areas for all guests to enjoy on a no-charge basis. In fact, the friendly pool attendants will set up your lounge chair where you request it, and towel and water service is also available pool-side. 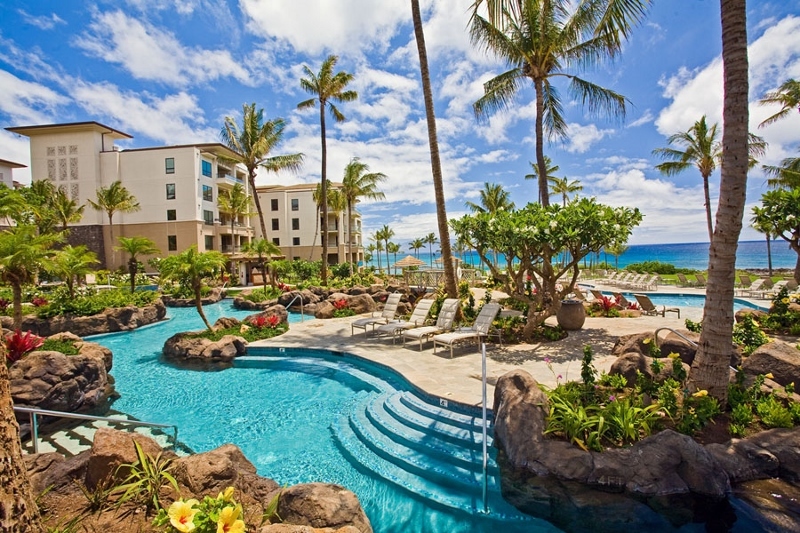 Swimmers and sun worshipers can order tropical beverages or a light lunch pool-side. 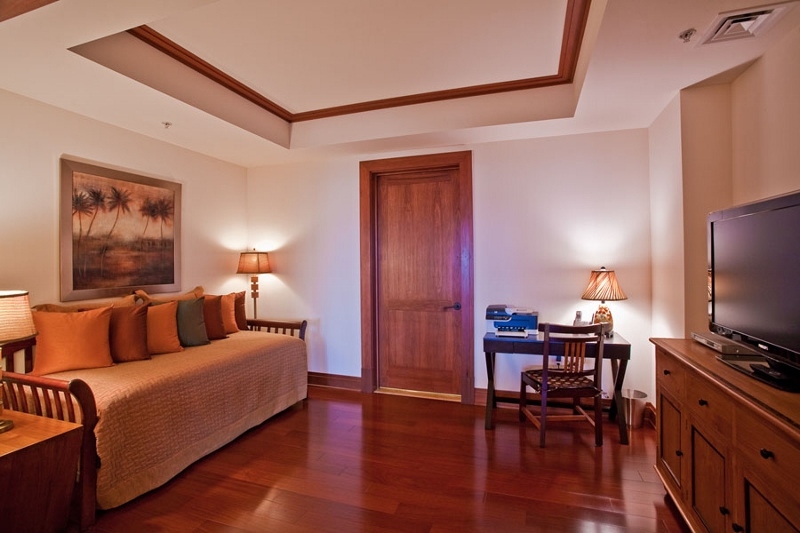 This well designed retreat offers every possible convenience for your comfort and relaxation. 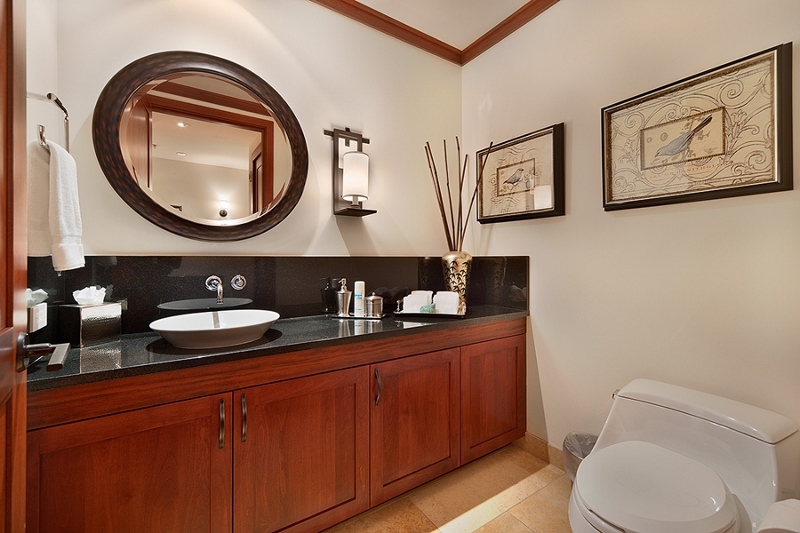 Ocean Dreams Villa 2203 was meticulously designed and elegantly appointed with every detail attended to. 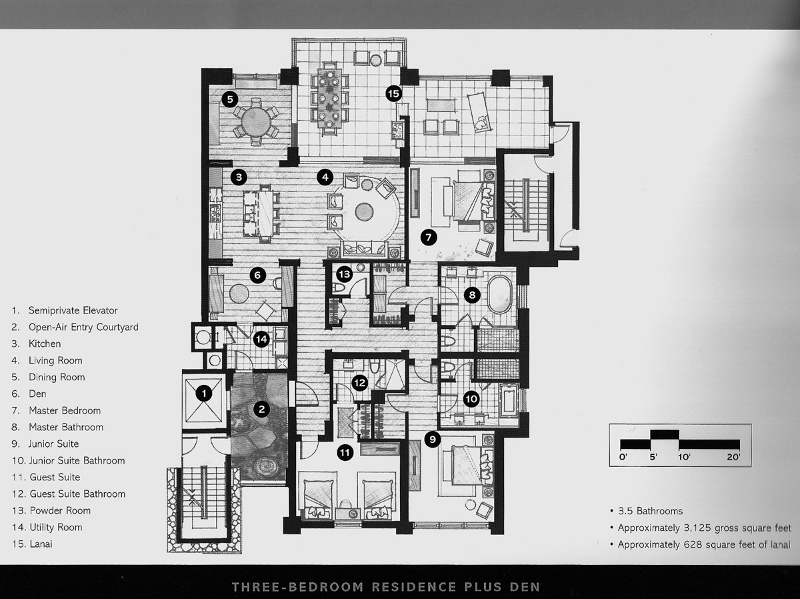 From the semi-private elevator step out into your own private entry foyer. 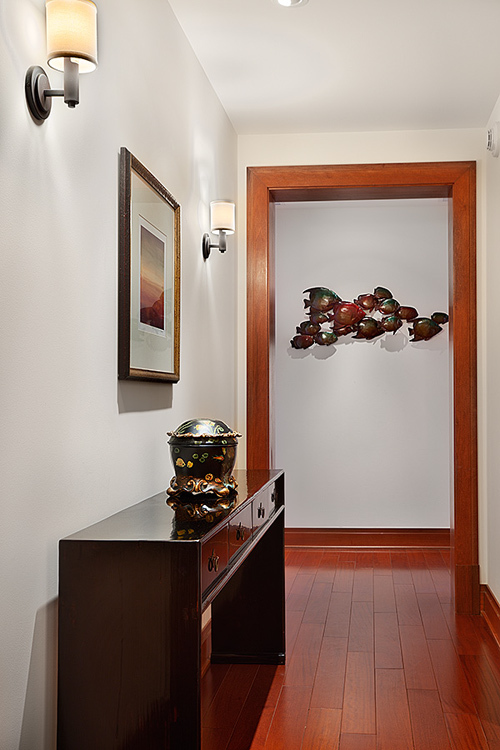 Through a solid glass double door you step in to a spacious hallway with gleaming mahogany hardwood floors. 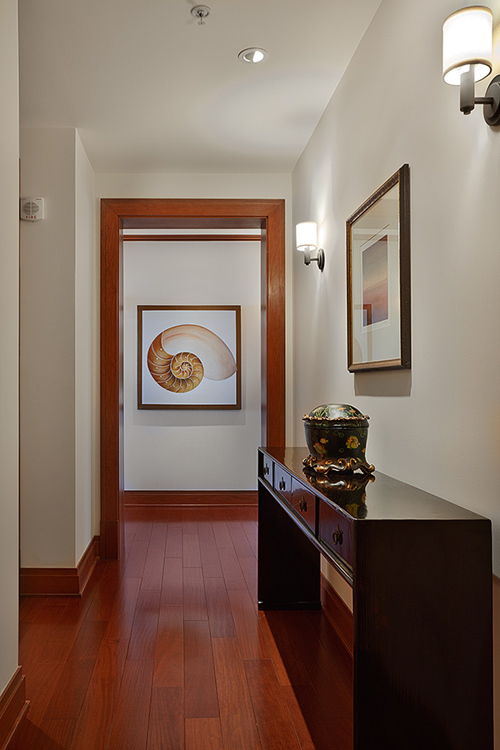 The hallway leads your gaze straight ahead to the ocean and pool area. 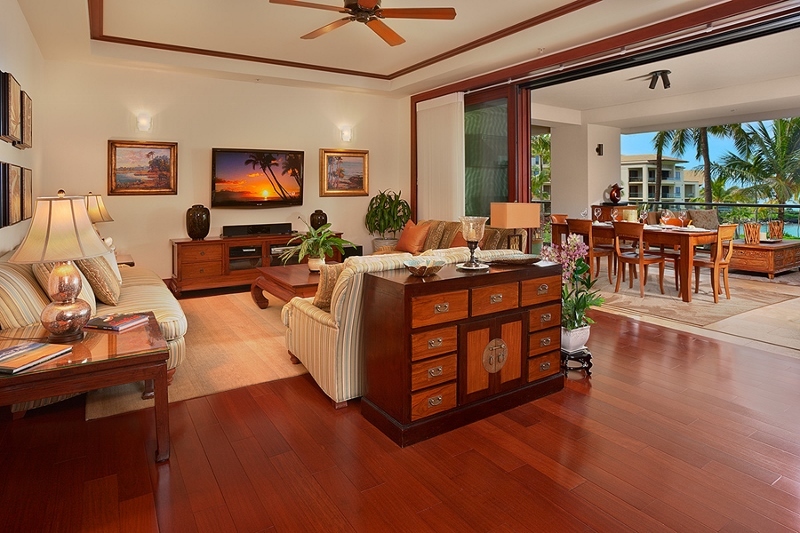 Enter the great room where floor to ceiling sliding glass doors frame one of the best views on the island of Maui. Panoramic ocean and beach front vistas frame this beautiful residence. Just outside, tiki torches dance at night, the sunset glistens off the pools, and the palm trees gently sway. Your private veranda has an outdoor dining table for up to eight, four chaise lounges, and side chairs for cocktail hour! The outdoor living area is so comfortable you may never want to even venture down to the swimming pools or the ocean front walking path. Back indoors, you may begin each day with a stunning perspective of the expansive blue Pacific Ocean with a latte made fresh on your own Illy-brand espresso machine. 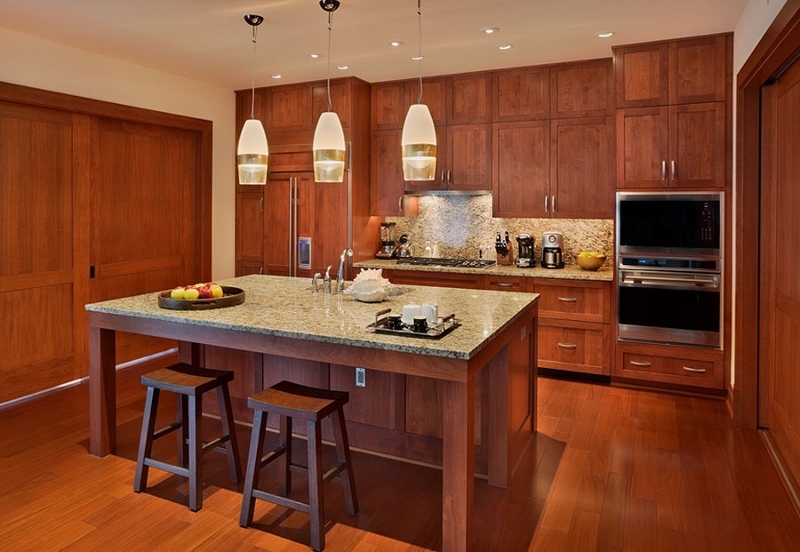 The kitchen is complete with every imaginable small appliance – for your cooking pleasure. To name just a few fun things we added, there is a thermal pot automatic coffee maker, coffee grinder, fine supply of fresh beans and tea, electric tea kettle, top-quality high-powered blender, waffle maker, juicer, Kitchen Aid stand-up mixer, ice cream maker, rice cooker, crock pot, hot air popper, deep-fryer, and an extensive assortment of fine quality cookware, Calphalon knife set, white bone china plateware, clear crystal glassware (martini, margarita, white wine, red wine, champagne flutes, pilsners, etc. ), sugars, herbs and spices, plastic glassware and paper plates for kids, and other to-go supplies. 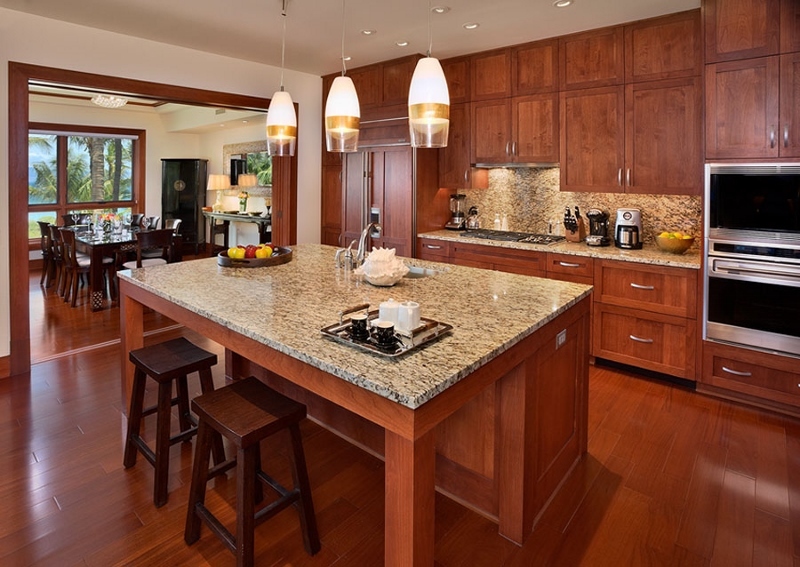 Further, the true gourmet kitchen also features premium appliances such as a Sub-Zero refrigerator with ice-maker and water dispenser, Sub-Zero wine fridge, 7 burner Wolf gas cooktop, Wolf brand microwave and convection oven, two Fisher & Paykel dishwasher drawers, and two additional refrigerated beverage drawers. This villa is just one flight up from the fantasy pool courtyard. A second exit takes you downstairs to the swimming pool courtyard directly from the master bedroom and outdoor veranda – very convenient! 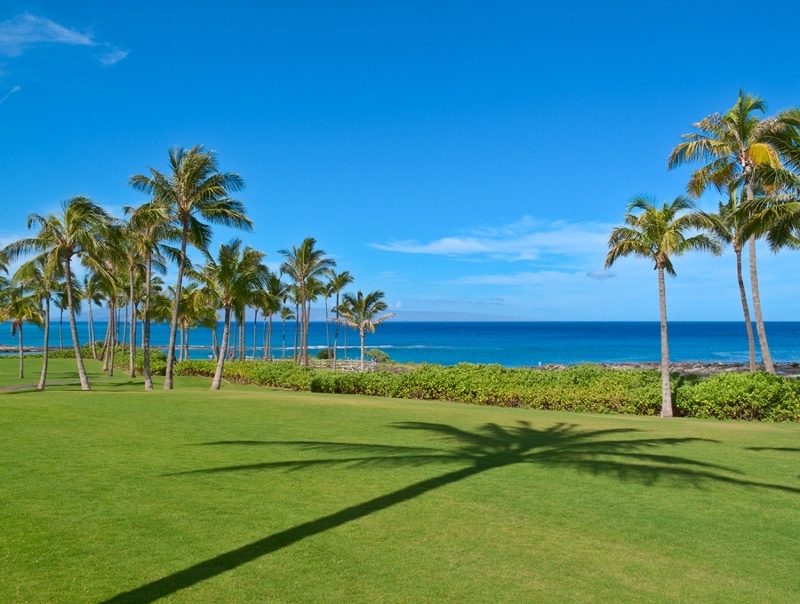 For a free ride anywhere in Montage Kapalua Bay, simply ring up the Kapalua Shuttle. This on-demand service is an ideal choice for transport to area restaurants if you plan to enjoy alcoholic beverages. Teenagers or families that have just one rental car will find the service to the golf courses or various beaches to be most convenient. The shuttle even picks up and drops off at Kapalua Airport. Offered to our guests on a complimentary basis is parking for two cars, high speed wireless internet access, local phone calls, USA mainland unlimited long distance calling, mid-stay housekeeping service, Tropical bath treats, use of the heated swimming pools and whirlpool spas, use of the facilities at the 30,000 square foot Spa Montage Kapalua Bay, and personalized in-villa greeting. 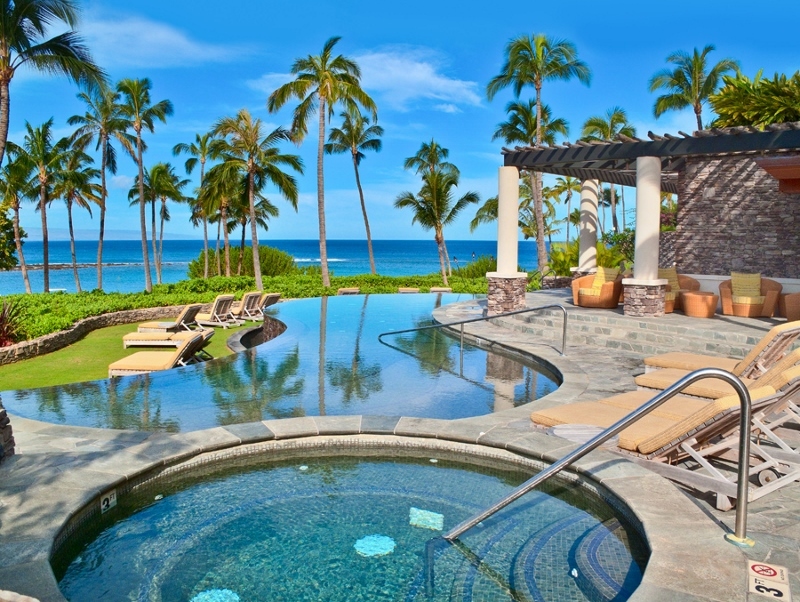 The Spa Montage Kapalua Bay embraces the healing properties of water, warm breezes, and fresh air. Guests receive complimentary access to enjoy the cardio, strength and Kinesis Circuit System in the fitness gym, along with use of the men`s and women`s relaxation rooms – each with sauna, steam, and private outdoor whirlpools. 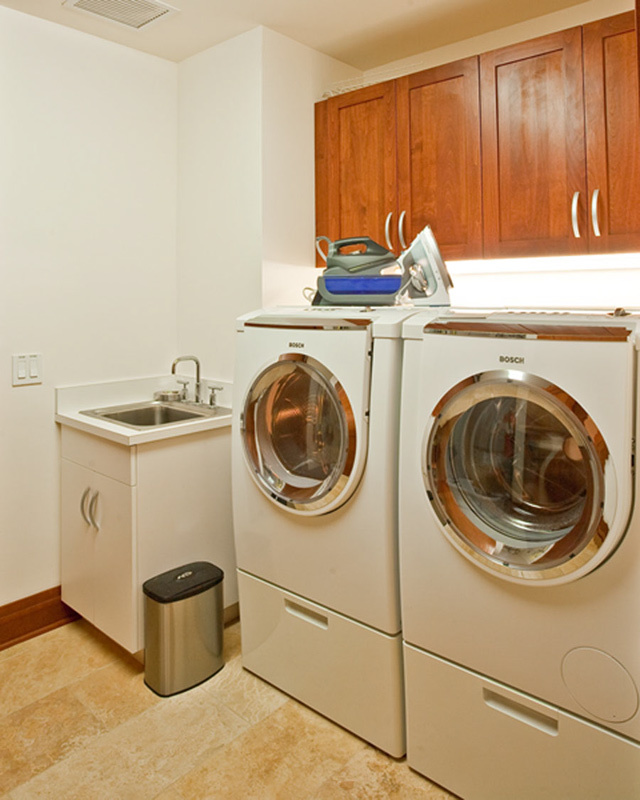 Men and women each have use of expansive changing rooms that are equipped with restrooms, showers, locking closets, toiletries, robes and slippers. To top the complimentary fitness and spa amenities, we recommend that you consider pampering yourself with a traditional Lomilomi massage, enliven muscles tired from rounds of golf with hot rock treatments, or indulge your senses with seaweed baths and hot mud soaks. 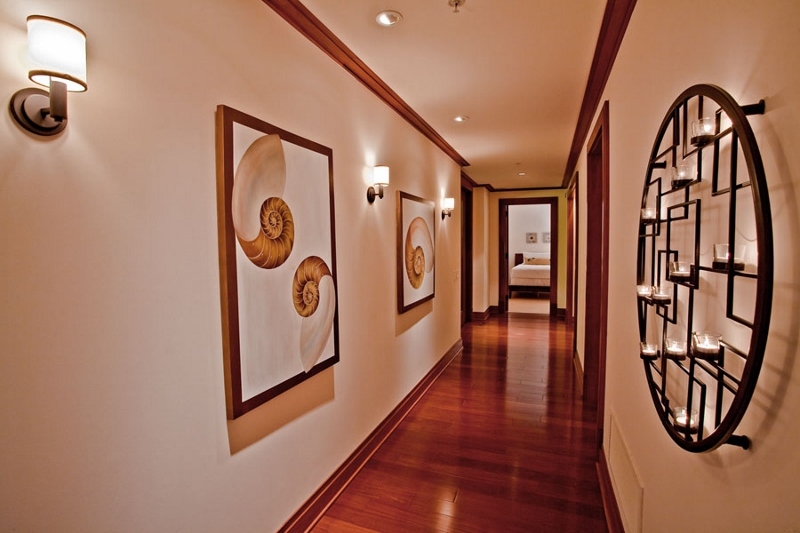 There are 10 private treatment rooms for individuals or couples indoors. There is also a full service hair and nail salon, an aesthetician for waxing and facials, and a wellness studio offering hot yoga. Within the charming boutique is a fresh juice bar that serves everything from coffees and tea to sushi and light spa cuisine. A welcoming bamboo garden provides a transformational setting for the ultimate spa experience – the 10 outdoor Hawaiian-style “Hale” – free-standing private treatment hideaways that are ideal for couples or singles. 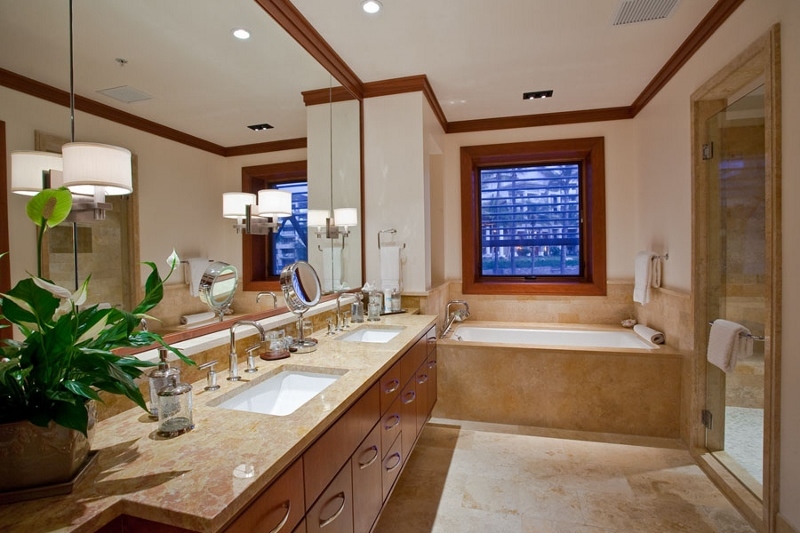 Each “Hale” has a treatment area, a garden shower, and a lounge area. For a truly tropical and spiritually uplifting experience, we invite you to reserve one of the ten outdoor island-style Hale for your spa experience (extra cost may apply). Each treatment in the Hale begins with a soothing foot bath. The sounds of tradewinds rustling through coconut palms and a gently flowing waterfall will lull you into a relaxed state. Your therapist will take you on a journey through the ocean with your choice of body or massage therapies. 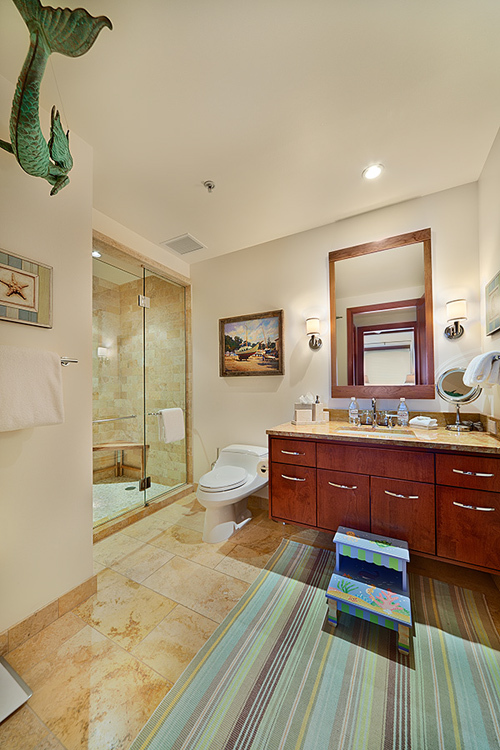 Optional upgrade to stone soaking tubs available. Couples may choose tandem treatments. The local community is modeled after a plantation-themed village. Catering to residents and visitors alike, there is a small church, general store with front-porch atmosphere that serves lunch and dinner or take-out foods (gelato, fresh coffee, full meals, groceries), a prolific arts and social scene, cultural events, wine and food extravaganzas, boutiques, galleries, and several renowned restaurants. Pine-tree lined pathways meander through the resort, making it a paradise for walkers. The planned Kapalua Coastal Trail connects 3.5 miles of shoreline from award-winning Kapalua Bay to world-famous Honolua Bay. 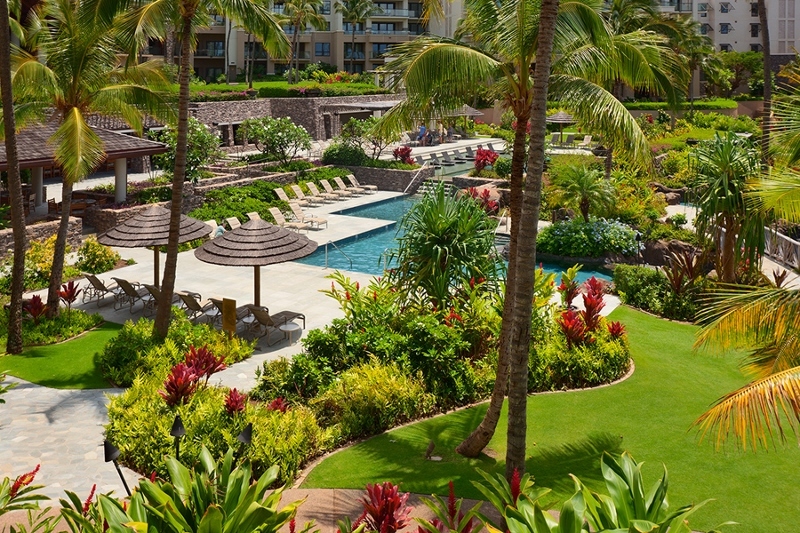 Montage Kapalua Bay encompasses unspoiled mountains with tropical rain forests, brilliant coral reefs, secluded coves, and a place where every moment is enriched with the warm spirit of aloha. 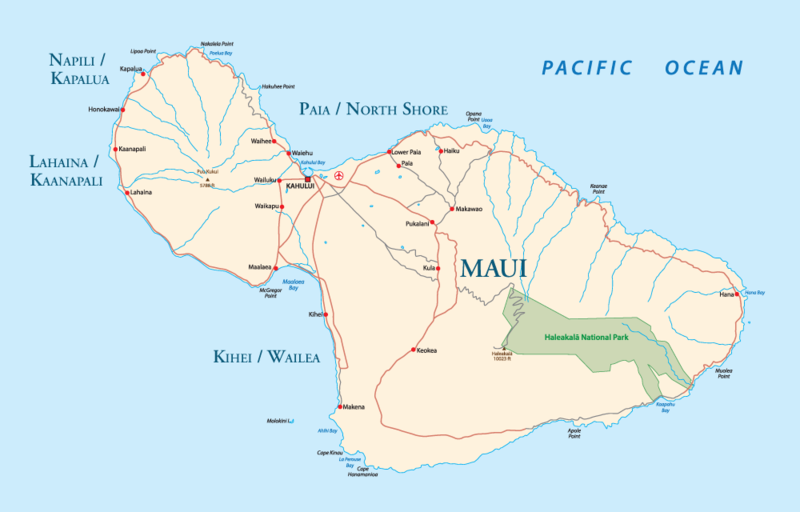 Kapalua Beach ranks as one of “America`s Best Beaches”. Fringed by palm trees that dance in the wind and soft golden sands, the turquoise waters of this pristine bay provide some of Maui`s best swimming, snorkeling, kayaking, and diving. Enjoy all of the delights of this marine playground at your doorstep. Be enchanted by whales jumping out of the sea (during winter season), views of dramatic neighbor islands topped with cotton candy clouds, turquoise color water framed by ancient jet black lava flows, and immaculate golden sand crescent shape beaches. 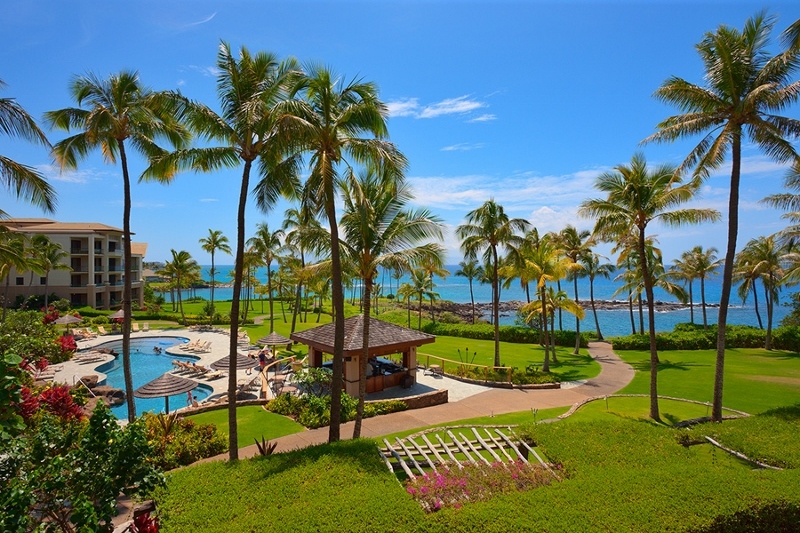 Montage Kapalua Bay`s three white sand beaches and pristine waters, are teeming with tropical marine life. Golf at Kapalua is legendary. Emerald green fairways give way to panoramic ocean vistas defined by unending stands of unique Norfolk island pines. The Kapalua Golf Academy adds a new element to the already exceptional golf facilities within Montage Kapalua Bay. The Academy is staffed with the largest teaching roster in the state. The Bay Course is a 6,600 yard par 72 showpiece designed by Arnold Palmer and Francis Duane. It features gently rolling fairways, generous greens, and a signature hole that reaches into the very edge of the ocean on a lava peninsula. The Plantation Course is a links-style beauty that boasts a par 73, 7411 yard layout. This course of champions traverses natural geographic formations and former pineapple fields. Den/Bedroom #4: Two Twin (Single) beds stacked away one on top of the other. The beds can be made up as a king bed also. When not in use, one bed is stored under the other. 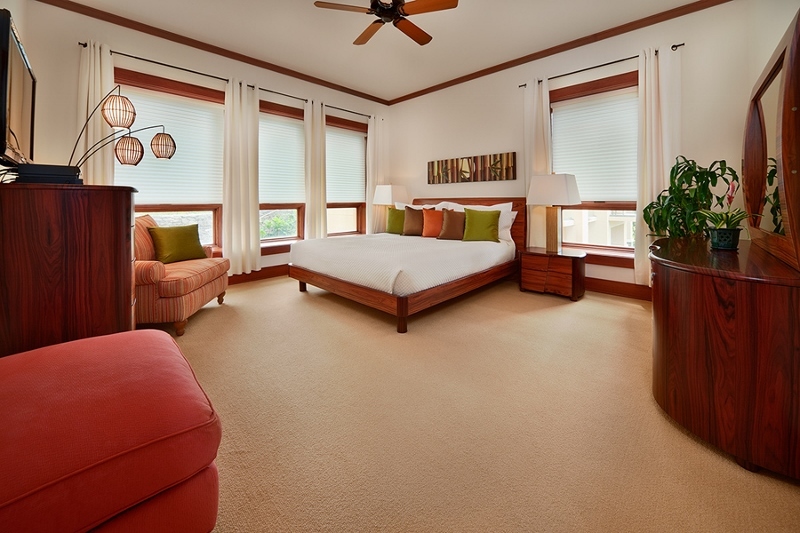 The beds serve as a sofa for lounging during the day time. Both have excellent mattresses. 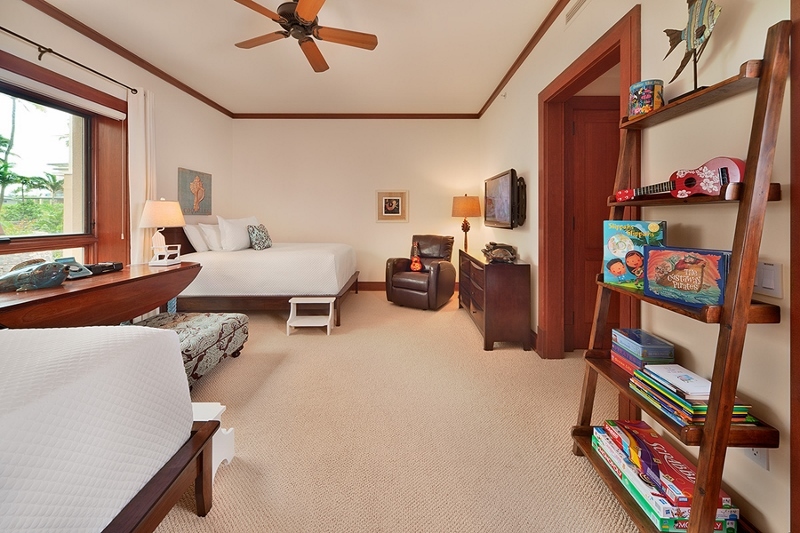 This den room can be closed off from the great room as a fourth bedroom. This room also serves as an office or as a media room. A desk/chair, printer/fax and office supply are available for your use. 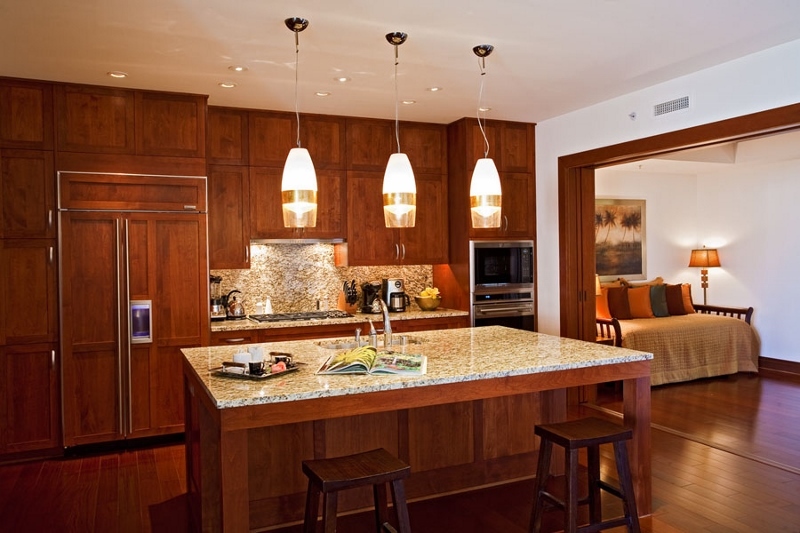 2203 Ocean Dreams Villa is not managed by Montage Hotels & Resorts. 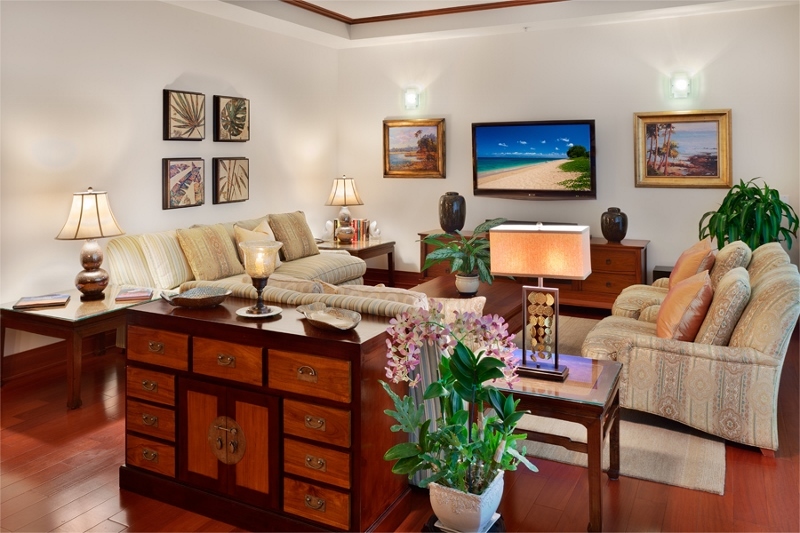 2203 Ocean Dreams Villa is managed by a local Maui-based State of Hawai’i licensed real estate brokerage and rental agent firm. 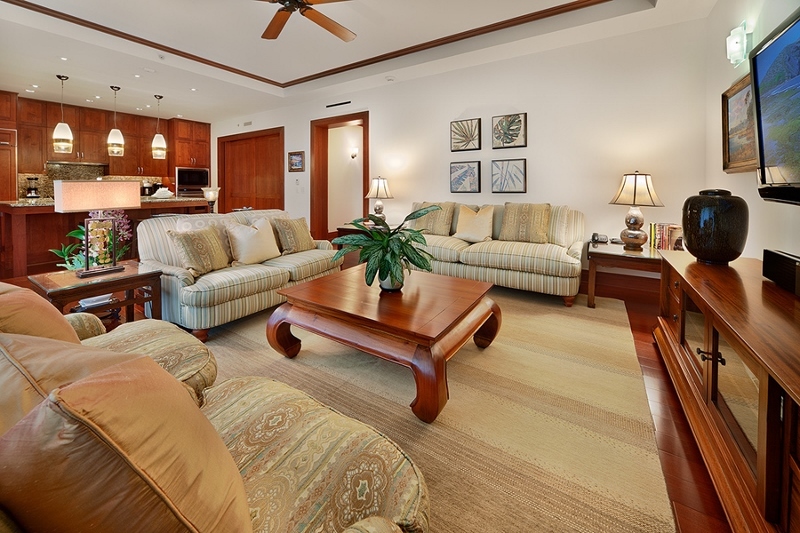 Montage manages the homeowner’s association and the public resort areas of the resort. There is no relationship or affiliation between our agency and Montage.